To us in Sheffield they seem like an attractive exotic rarity but at the Chelsea Flower Show this year they were in massive flocks. Their calls were very noticeable despite all the noise and bustle of the show and I saw no other birds. Native species wouldn’t stand a chance. Yes – quite. I suspect the problem, as with many invasive non-natives, is that the genie is out of the bottle and it won’t easily go back! How we address that, if indeed we do, will be interesting to say the least. Lovely event yesterday at Hallam, about Shadow/ Ghost Woods, I find the work you’re doing really exciting, combining woodland ecology and cultural history, with long-term perspective. When I came along on the Shadow Woods excursion to White Moor, probably in May 2016, we were still formulating what our “Tree Charter” project would look like. On Nov 6 2017, Britain celebrated the 800th anniversary of the Charter for Trees, Woods and People , which was the culmination of hundreds of positive, creative woodland projects across the country. As “Charter Champions” for Sheffield, our project, Sheffield Woodland Connections , offers interpretive walks around Ecclesall Woods with emphasis on engagement, creativity and inspiration. Our detailed and updated maps of the wood are available for free download, and our interpretive map is continually adding new content from participants. We are also leaning towards citizen science, in that we offer participants data sheets on which to record information about particular trees. At the close of yesterdays event, I inquired about a central forum at which individuals interested in the positive aspects of Sheffields woodland heritage can connect. At the very least, it would be good to to cross-link the various initiatives. And perhaps we can do even more to connect people with woods and ecology. It would be good! As always with these things the idea need careful thought and some resources to carry it through. But wouldn’t it be great to celebrate the good stuff! 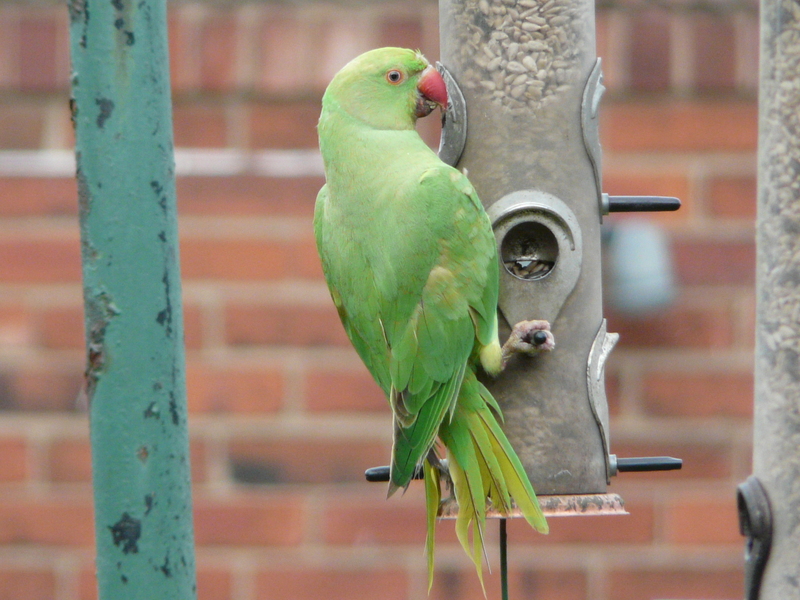 I have observed ringneck parakeets all over the country including the massive roost at esher, kew, Richmond Park and various other parts of London. I have seen the group in Hartlepool several times and the ones at Sefton Park in Liverpool. Spoken to various people about them and on no occasion have I seen them evicting any other bird from their nest hole. They eat and breed alongside starlings, woodpeckers and other birds without ant problems. They are pretty to look at and bring lots of enjoyment to people who are house bound, children and anyone interested in wildlife. I for one think they are great. I suspect many others do as well – and also, I think they are here to stay anyway!